We’re still recovering from a cold that was apparently passed around my family. I’m feeling much better, but poor hubby isn’t and is even rocking a fever today. 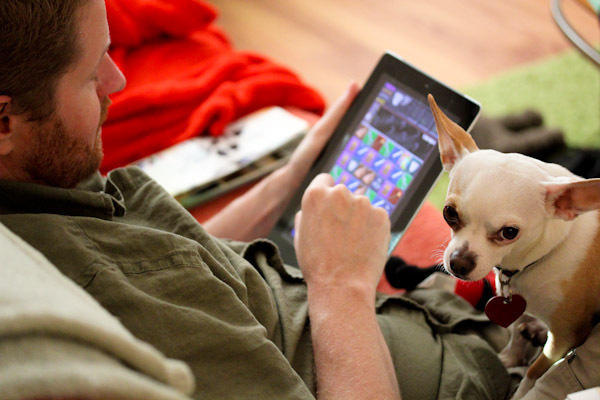 But he has a little lap buddy and iPad games to the rescue! 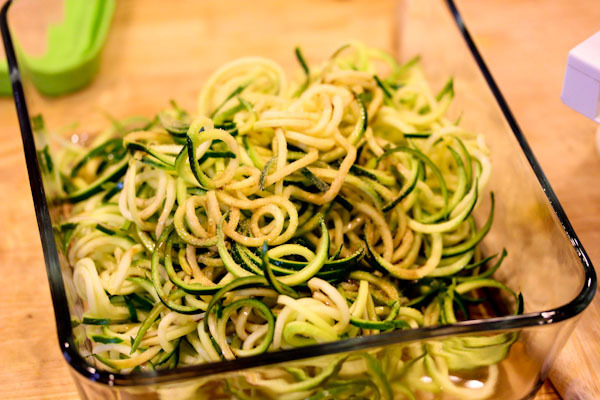 While waiting for my symptoms to go away, I got to experiment with another raw technique – marinating zucchini noodles. 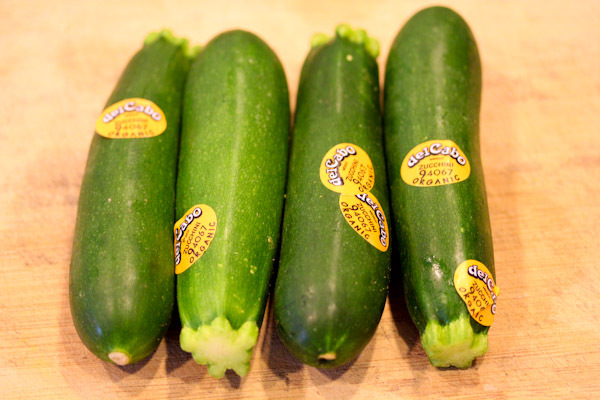 I started with four little organic zucchinis from Trader Joe’s coated wastefully in stickers. Jeez guys, I get it! They’re organic! After marinating in the fridge for 24 hours, the noodles softened nicely. And for a sicky comfort meal, I coated them in the nacho hemp sauce from Kristen Suzanne’s Raw Vegan Hemp Recipe Book and served with chopped tomatoes. 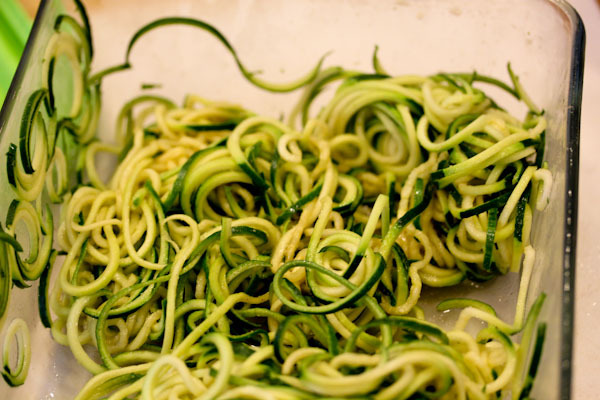 The noodles had a softer, more pasta-like texture and not the chilled, crunchiness fresh spiral sliced zucchini typically has. 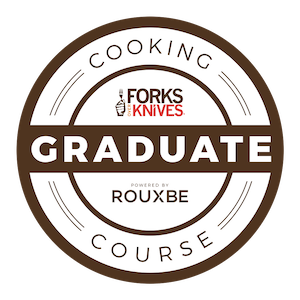 And they can be prepared in larger batches and stored in the fridge for up to 5 days to grab servings from, perfect for easy raw vegan meals! 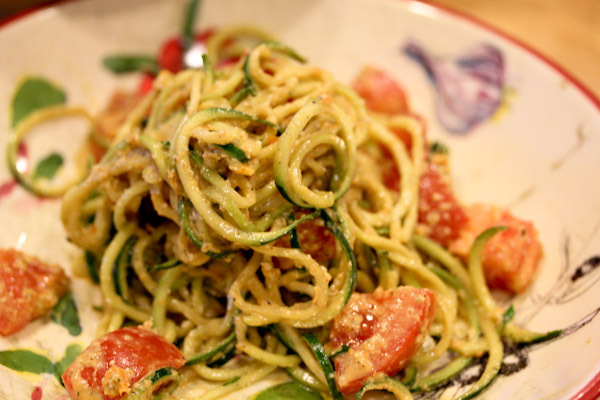 My next post is all about noodles! 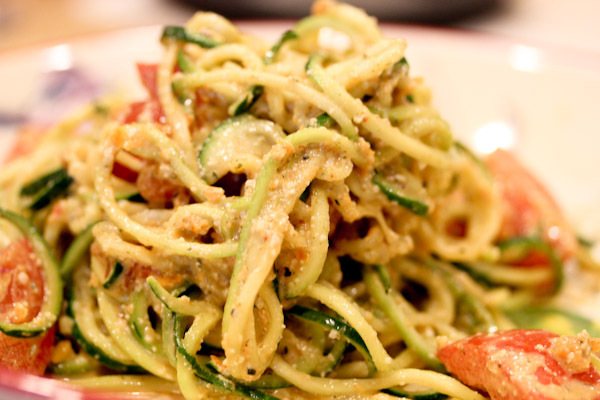 Your noodles make me want…more noodles! i love kristen’s nacho hemp sauce!